Introducing our new collection of spice essential oils that will get you into the coming holiday mood. 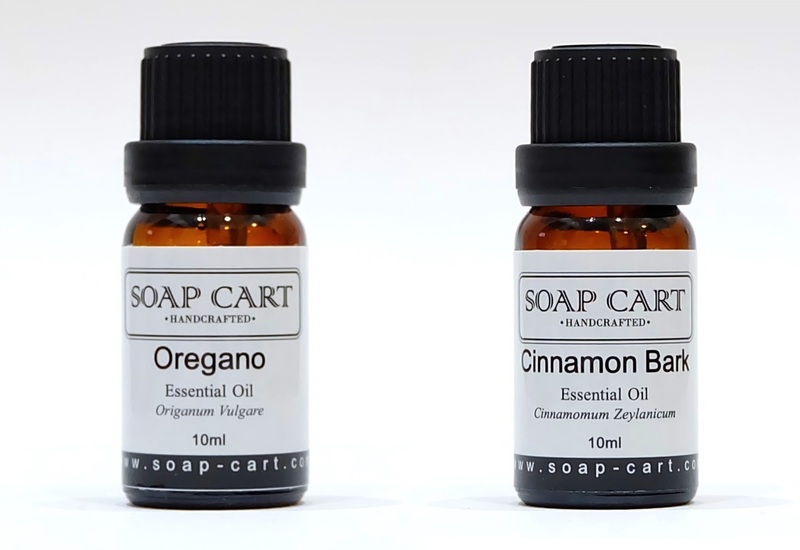 These includes Oregano essential oil and Cinnamon Bark essential oil. Both are 100% pure, natural and undiluted essential oils. Oregano Essential Oil: Oregano is a plant native to higher altitudes and normally grows in the mountains, which is how it got the name “Oregano”, which means “Delight of the Mountains”. The Essential Oil of Oregano is extracted through steam distillation of dried aerial part of flowering plants, which bear the scientific name Oreganum Vulgare. It has a heavy, spicy, pungent aroma that creates feelings of security. Oregano oil is high in its anti-bacterial and anti-fungal properties. Usage rate for Oregano essential oil cannot be more than 1% when used on skin. Cinnamon Bark Essential Oil: Cinnamon is one of the most popular spices in flavoring and medicinal uses. Cinnamon, which has the scientific name Cinnamomum zeylanicum, originated in tropical Asia and was, particularly, widely used in Sri Lanka and India. It has a strong, “perfume-like” smell, almost like taking an intense whiff of ground cinnamon. It is useful for arthritis, neuralgia and rheumatism, and is also commonly used to control blood sugar in diabetic patients and improves blood circulations. Usage rate for Cinnamon Bark essential oil cannot be more than 0.05% when used topically. The current packing for these oils comes in 10ml, 50ml and 100ml amber bottles. Do try these new oils out and let us know which scent you like the most.